Donald Trump’s ascent to the presidency has brought the culture, fault-lines and political commitments of American evangelicalism into sharp relief. How did a candidate whose lifestyle and morals starkly contradict conservative Christian teaching win the votes of more than 80 percent of white evangelicals? And as Trump and his administration has been plagued by accusations of corruption, lies and extra-marital affairs, why have white evangelicals and some evangelicals of color continued to support him? These questions have dominated news columns, coffee klatches and classrooms for two years. With the 2018 midterm elections looming, they are more pressing than ever—given the large number of tight legislative races nationwide. White American evangelicals have been politically engaged since the early 19th century. 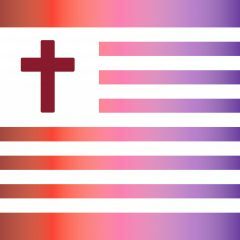 Eager for society to conform to their notion of divine standards, evangelicals’ earliest crusades sought to end slavery, ban alcohol, redeem prostitutes and reform labor laws. Although their activism waned after the Civil War, evangelicals again launched targeted campaigns starting in the late 1970s. This time their causes were largely identified with right-wing politics. Conservative religious values, including opposition to gay rights, reproductive choice and feminism–as well as support for prayer in public schools, tuition vouchers, traditional families and the ability to discriminate in their organizations based on their religious beliefs–entered the political sphere through movements such as Moral Majority, Christian Voice, the Eagle Forum and Focus on the Family. Since 1980, evangelical leaders have influenced national elections and public policy, and have helped push the Republican Party toward increasingly conservative social stands. In fact, white evangelicals have generally been the most consistent voting bloc within the Republican Party. But, evangelical Christianity, as we have known it since the 1970s, is again changing. Who are American evangelicals? What do they believe? What is their vision for the country and its place in the world? In the aftermath of Trump’s 2016 sweep of white evangelicals, many evangelical leaders such as Jerry Falwell Jr. and Robert Jeffress basked in the glow of victory, claiming they were bringing America back to God. Others–such as Russell Moore, head of the Southern Baptist Convention’s public policy arm, and Tim Keller, pastor of Redeemer Presbyterian Church in New York City–tried to create distance between evangelicalism and its seemingly overwhelming support for the new president. For leaders like Moore and Keller, Trump is the anathema of what they say evangelicalism represents, and many of the “evangelicals” who voted for him are not “real” evangelicals. Likewise, evangelical scholars have sought to debunk the notion that evangelicals’ 81 percent vote for Trump reflects the community of evangelical believers. This raises an important question: Are evangelicals as monolithic a group as election exit polls suggest, or are there significant differences among them? 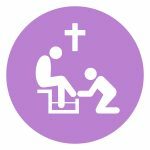 At its most basic, evangelicalism is characterized by a belief in the literal truth of the Bible, having a “personal relationship with Jesus Christ,” the importance of encouraging others to be “born again” in Jesus and lively worship in church. This characterization is true regardless of a church’s size, the demographic profile of its members or how those congregants live out their beliefs. Yet, discrete groups can be found within evangelicalism that, while sharing the same basic theology, differ significantly in how they understand politics and social engagement. Survey research and election polls also fail to differentiate between whites, Latinos, African-Americans and Asians who share the same evangelical theology, but part company over social and moral issues. For example, in most surveys and political polls, the term “evangelical” is limited to white believers, while others who may be theologically similar are classified into racial/ethnically identified categories such as “Black Protestant,” “Latino Protestant” or “Other nonwhite Protestant.” This taxonomy masks the racial and ethnic diversity within evangelicalism, and also obscures the ways that different racial or ethnic groups within evangelicalism interpret their faith and seek to live it out in the world. 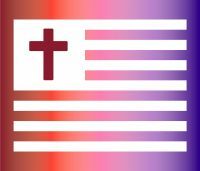 At the same time, there are many non-white Christians and Christian organizations that share the same religious beliefs as “evangelicals,” but do not identify themselves as such because of the political history and racial connotations attached to the evangelical name. In this brief report, we provide a concise guide to five different expressions of evangelical Christianity. None of these groupings is composed entirely of white evangelicals; rather, each includes a mix of racial and ethnic groups. Members of each category ascribe to evangelical theology, but they disagree—sometimes vociferously—on various social-moral and political issues. For our purposes, these groupings—or “types”—of evangelicalism are derived using three criteria: First, each type shares a basic agreement on evangelical theology. Second, they each understand themselves as existing within the larger tradition of American evangelicalism, whether or not they refer to themselves, their churches and other organizations as “evangelical.” And third, their theology motivates how they act in the world, including appropriate social and political actions, and attitudes toward people who do not share their religious commitments. The lines between the types or varieties of evangelicalism are often bright but are also sometimes blurred by “border-crossers” whose varied commitments, both theological and political, place them in more than one category. For example, Russell Moore of the Southern Baptist Convention’s Ethics and Religious Liberty Commission–whom we’ve categorized as a “neo-fundamentalist”–would agree with some peace and justice evangelical positions on immigration, but not on abortion or LGBTQ rights. This highlights the fact that typologies can simplify in order to explain, but also blur some of the finer distinctions. Trump-vangelicals are the most vocal—or at least the most visible group of evangelicals right now. They are the continuation of the efforts of the Religious Right to bring political power to bear to further the aims of white evangelicalism, particularly around abortion, religious freedom and restrictions on the rights of other groups with which they disagree. Many Trump-vangelical leaders have directly addressed the apparent disconnect between their avowed moral stance and their alignment with Donald Trump through a biblical rationalization that invokes an ungodly Old Testament king who nevertheless achieved God’s goals on earth. 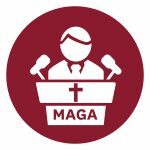 Neo-fundamentalist evangelicals are no less theologically or politically conservative than Trump-vangelicals, but they maintain a purist approach toward whom they will cooperate with in achieving their aims. Thus, while they appear to take the moral high road in calling out other evangelicals for their alignments with Donald Trump, they happily reap the benefits when his administration furthers the aims of evangelical Christianity, such as the appointment of anti-abortion judges and restrictions on LGBTQ rights. 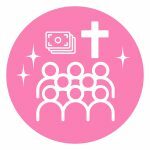 iVangelicals are primarily concentrated in the evangelical megachurch movement and focus on reaching large numbers of people through their popular worship services, varied social programs and small group ministries. iVangelicals are particularly adept at appropriating key elements of the larger culture to provide a “relevant” church atmosphere, and remain steadfastly non-controversial in their politics and social engagement. 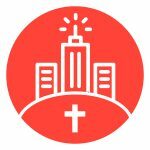 Kingdom Christians focus on building the Kingdom of God on earth by creating diverse relationships in the local community and shaping human development policy through engagement with local officials, regardless of those officials’ political or religious affiliation. In other words, Kingdom Christians, neither liberal nor conservative, embrace an inclusive form of Kingdom Theology that is marked by a keenly localized concern for human flourishing and the systemic sources of suffering. This distinguishes Kingdom Christians from “reconstructionist” or “dominionist” believers, who also use Kingdom language but pursue political power at the national level and seek to exclude religious and political others. 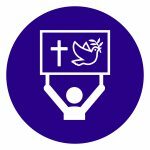 Peace and Justice evangelicals are a loose network of pastors, non-profit leaders, professors, and activists who focus their work on issues of poverty, racial justice, gender equality, immigration reform, criminal justice reform, war and militarism and “creation care” (i.e. environmental protection). A small but growing minority in the larger evangelical world, many belong to traditional evangelical institutions but are in tension with them because of their political beliefs. We hope this guide will be useful to journalists, pundits and members of the public interested in having a clearer picture of the relationship between religion and politics than is provided in many media descriptions of religious actors on the American political scene. While not exhaustive, our typology demonstrates the range of American evangelicalism and the significant differences among believers.